"We celebrate the spirit and imperfections that make these dogs lovable," said an official who helped organise the annual ugly dog contest. Los Angeles, United States: A lumbering canine with deep-set wrinkles and a gas problem, Martha the Mastiff is no beauty queen - but as the newly crowned World's Ugliest Dog, she is still a winner. 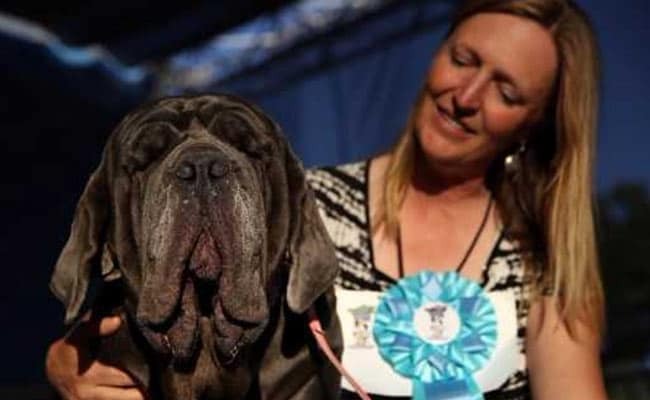 While images of cute dogs regularly make the social media rounds, this weekend pooches with more unusual features got their moment to shine at the World's Ugliest Dog Competition in Petaluma, California. 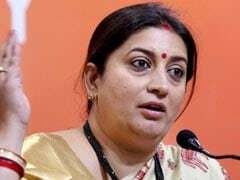 As she was awarded her first-place prize - $1500, a trophy and a trip to New York for media appearances - Martha appeared unmoved, rolling over to let the voluminous folds of her droopy jowls flop onto the stage. "She knocks over every water bucket no matter how securely attached to the fence," said owner Shirley Dawn Zindler of her homely hound. "She bosses the other dogs around and makes sure all guests are suitably 'slimed' on arrival." 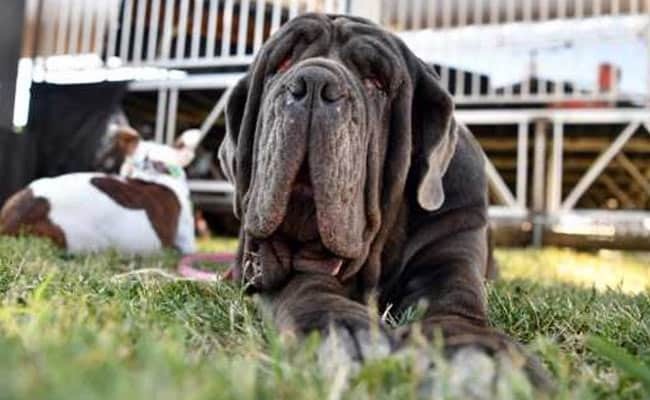 Zindler is fostering the three-year-old Neapolitan Mastiff, a breed known for its excess loose skin and a tendency to drool. The competition was stiff: Moe, a lackadaisical, scraggly-haired mutt whose tongue generally hangs out the side of his mouth nabbed second place. Precious, a rat-like, wide-eyed Chihuahua claimed the spirit award. 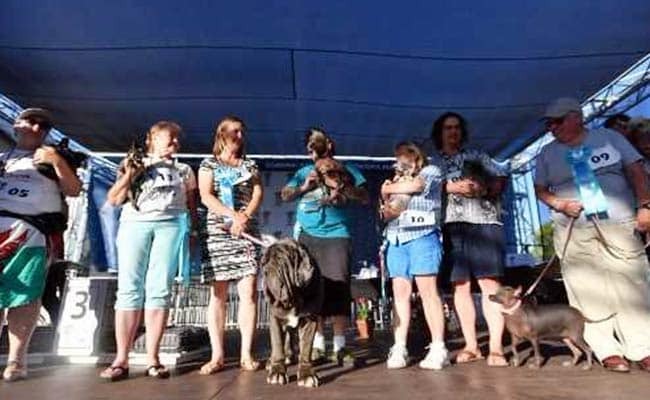 The small coastal city of Petaluma has been hosting an annual ugly dog contest for more than 50 years, organisers said. This year's event included a red carpet walk and a "fashion faux paw show" - complete with ugly sweaters - allowing the less esthetically pleasing canines of the world the chance to strut their stuff. "We celebrate the spirit and imperfections that make these dogs lovable," said event marketing director Karen Spencer.